revegetation, stormwater filters and geomembrane liners, and more. reinforcement mat technology for high-flow storm water channels. pavements, bioretention facilities, garden rooftops, & rain barrels. control. Call today and let’s discuss your next project. The Recessed Storm Water Curb Inlet Filter. of traffic during the construction phase. Geosynthetic products and solutions for the construction industry. Retaining Walls, LID Solutions, Streambank Restoration & Site Development. Stormwater Pollution Prevention Plans (SWPPP), Inspection Services, & Violation Remediation. GeoSolutions Inc. has led the ground stablization, earth retention and erosion control fields with products and expertise covering a broad range of applications. No matter the size or complexity of your project, we offer the materials and expertise you can rely upon to get the job done right. With offices in Austin, Corpus Christi, Dallas/Fort Worth, Houston and San Antonio and Oklahoma, GeoSolutions is the region's leading provider of products used in soil stabilization, erosion control and earth retention projects. GeoSolutions also offers expert planning, design and engineering services for site development projects, as well as offering environmental services including SWPPP plans & inspection services. 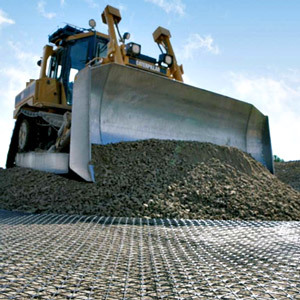 GeoSolutions’ polypropylene geotextiles and geogrid technology provide permanent and temporary erosion control and sediment retention through separation, drainage and filtration. GeoSolutions’ featured division that consists of the inspection, maintenance, and repair services necessary to keep your jobsite up to date with regulations and codes during the construction phase. GeoSolutions’ offers popular Lunch-n-Learn events free of charge to businesses in our region. You can pick any topic you like along a broad range of soil stabilization, retention and erosion control topics. "This is one of the worst natural disasters to hit the United States, and I feel that we should provide relief in some form."